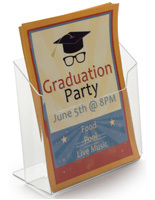 Acrylic Construction is Light & Durable. 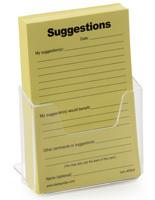 Fits 3.75" Wide Literature for Distributrion. 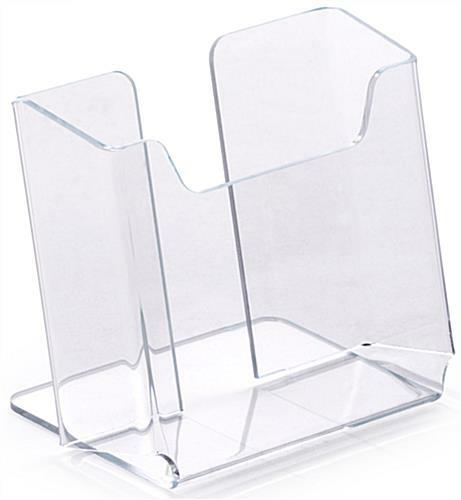 Clear Stand to Easily See What's Inside before Removing. 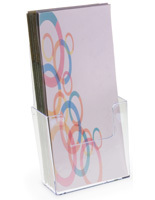 The plastic leaflet holder for tables are able to display print media that measures 3.75” wide for booklets or larger pamphlets. 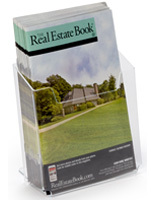 The literature display has a notched front to make grabbing information placed inside easy an inch deep to hold several copies. 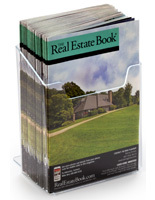 The leaflet holder for countertops is made of clear acrylic to make viewing brochures possible from a distance. 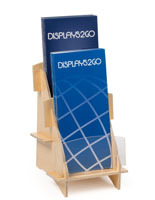 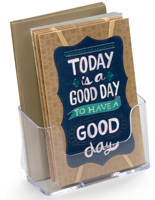 The literature display is durable and will hold up well in busy locations, like retail stores and school offices. 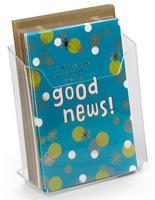 The holder is clear and has a lip at the rear that to keep the unit steady and upright. 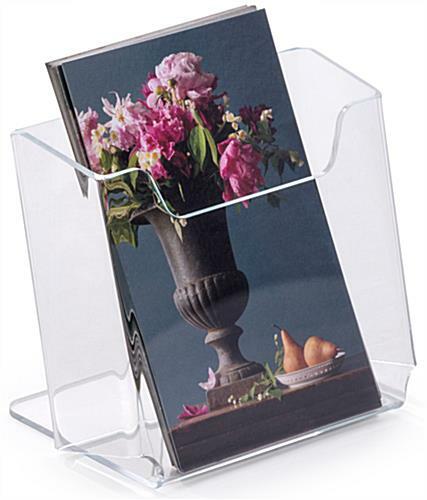 The countertop unit is easily moved around wherever needed because of its acrylic construction.